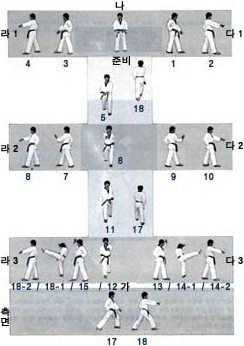 Welcome to the Student Resources page containing information on the belt test requirements as well as links to some excellent videos and guides for forms on the official Kukkiwon website. 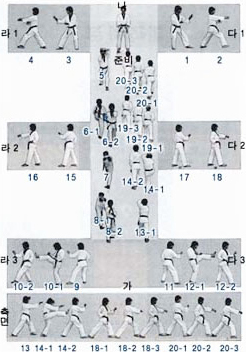 We hope that you find this helpful. Boards for breaking should be pine boards that are 12 inches wide and cut in 10 inch lengths. As such, a five foot length of pine will give you 6 boards. They are 3/4 of an inch thick although kids boards should first be planed down to 1/2 inch thick – this can be done when you purchase them. While some building supply companies will not do this, you can get it done locally at Chandlers although there is an additional fee. Note: be very careful purchasing the boards from Chandlers. Recently, they have been selling the boards in 12 inch lengths as opposed to 10 inch lengths. They insist that they are the right cut but they are harder to break. Tell them that they need to cut an additional 2 inches off to make it 10.